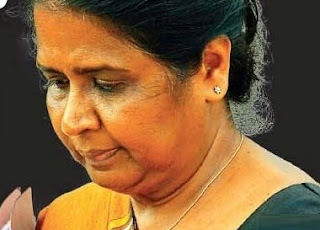 Former Superintendent of the Public Debt Department Deepa Seneviratne told the Special Presidential Commission of Inquiry probing the controversial bond issue, yesterday, that former Central Bank Governor Arjuna Mahendran had ordered her to accept Rs. 10 billion worth of bids on Treasury bonds. Seneviratne who served as the head of the Public Debt Department at the time of the controversial bond sale said that the order had been given in the presence of two Deputy Governors and officials of her department and she had been left with no alternative but to comply with the Governor’s order. Governor Mahendran had used the words, "Do it", in ordering her to proceed with the particular bond sale, Seneviratne said, giving evidence before the Commission. Additional Director Dr M. Z. M. Azim had tried to point out the negative repercussions of the bond sale four times but in vain while the two Deputy Governors were keeping silent, she said. The ex-head of the Public Debt Department said she was surprised when she was appointed to that post because she did not have any experience or knowledge of the duties and functions of that department. Seneviratne said she had never expected to be appointed to that post and she tried to speak to senior officers known to her to get a transfer to another department but to no avail. She said she had met the then Governor of the Central Bank Arjuna Mahendran, who insisted that she assume duties in the new post. Mahendran had told her that he needed to get rid of Dr Azim, who was an Additional Director of the Public Debt Department and therefore she should hold that position. She had been asked to keep the matter a secret by Mahendran, Seneviratne told the commission. As she was left with no alternative she had assumed duties in the new post and soon afterwards all those attached to the Public Debt Department had been summoned for a meeting and requested to cooperate with to her, she said. Seneviratne said she had the backing of many senior officials of the department including Dr Azim, who was an Additional Director of the department at that time. She carried out her duties with their assistance, she said. Dr Azim had special knowledge of public debt management and he was an asset to the Central Bank, she said. She commenced giving evidence responding to queries raised by Senior Solicitor General Priyantha Nawana. As per the evidence given before the Commission, she joined the Central Bank 28 years ago. She started her career as a Staff officer and served in several departments, including the EPF and Exchange Control Departments. She is a graduate of the University of Sri Jayewardenepura. She was promoted to the post of Superintendent of the Public Debt Department on Feb. 09, 2015. She was informed of the appointment by the Human Resource Department of the Central Bank on Feb 03, 2015. Prior to her appointment Dhammika Nanayakkara served in that position for three months. In answer to a question from Commission member Judge Prasanna Jayawardana she said Mahendran had been appointed Governor of the Central Bank on Jan. 25, 2015.